February 1, 2013 / Day 1  Depart Canada for Santiago, Chile. Take connecting flight to Punta Arenas. February 2, 2013 / Day 2  Arrive in Punta Arenas, Chile’s southernmost city. 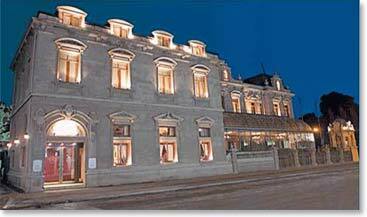 Tonight we will have dinner at the historic Jose Nogueira Hotel, where Sir Ernest Shackleton negotiated the famous Antarctic rescue of his stranded crew on the ship Endurance. February 3, 2013 / Day 3  Morning departure to Torres del Paine National Park where the real adventure begins. We will stop for a visit to the Milodon Cave a geological wonder and former home to an extinct species of giant sloths. 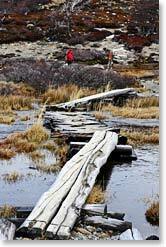 February 4, 2013 / Day 4  Our goal is to complete the most famous trekking trail in Torres del Paine National Park. We walk from the hotel and connect with the winding path up to Ascencio Valley. We will pass through beech forests and along bubbling creeks during the walk into the valley. This mass of boulders is the last stop before we meet the Torres del Paine. This is one of the most marvelous sights in the world! The Torres del Paine (2,900 m/ 9, 400 ft) are three gigantic monoliths, the remains of a great cirque sheared away by the forces of glacial ice. February 5, 2013 / Day 5  Today we will hike along the twisty Cuernos trail beside beautiful Lake Nordenskjold. We will get a taste of the park’s scenery, wildlife, strong winds and changing weather. As we advance, we’ll enjoy the magnificent views of the park’s central lakes and Paine’s Horns; majestic black horn-like peaks of slate atop gray granite. We stop for some great photo opportunities and to enjoy a delicious lunch. The trek ends at Refugio Los Cuernos, a small and cozy mountain refuge located by the shores of Lake Nordenskjold. February 6, 2013 / Day 6  Today our trek will be more challenging. 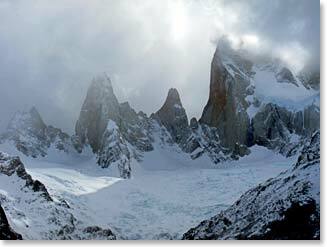 Our goal is Valle Frances (French Valley), which is accessed by a steep trail that leads into the very heart of the Paine Massif. When we reach the hanging bridge over the French River located at the foot of the southeast face of the Massif, we’ll enjoy our first amazing views. From here, we continue up the trail until we reach the upper valley. The entire group of geological formations of the high valley can be seen here: Hoja (Blade), Máscara (Mask), Espada (Sword), Catedral (Cathedral), Aleta de Tiburón (Shark’s Fin) and the Fortaleza (Fortress). An optional trek to Mirador Britanico is available as well. February 7, 2013 / Day 7  We hike from the refugio along the shores of Lake Pehoe to the northern end of Lake Grey. We’ll enjoy lunch before boarding the boat that sails to the blue face of Glacier Grey. If the weather conditions prevent us from navigating Lake Grey, we’ll hike back to Paine Grande and board the catamaran to Lake Pehoe. Transfer to our hotel. February 8, 2013 / Day 8  Drive to Punta Arenas. Visit the colourful town of Puerto Natales along the way. February 9, 2013 / Day 9  Return flights to Santiago and Canada. BAI trip ends.